Federico Mayor Zaragoza (b. January 27, 1934 in Barcelona) is a Spanish scientist, scholar, politician, diplomat, and poet. 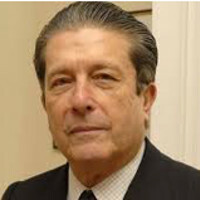 Federico Mayor Zaragoza obtained a Ph.D. in pharmacy from the Complutense University of Madrid in 1958. In 1963 he became professor of biochemistry at the School of Pharmacy of the University of Granada, and in 1968 was elected rector of that university, a post he held until 1972. The following year he was appointed professor in biochemistry at the Autonomous University of Madrid. In 1974 he co-founded the Severo Ochoa Molecular Biology Centre at the Autonomous University of Madrid and the Spanish High Council for Scientific Research. The main focus of Professor Mayor's scientific research has been on molecular brain disease, and he was responsible for drawing up the Spanish National Plan for Mental Health Prevention. He is a member of the Club of Rome, the Club of Budapest, a founder member of the Issyk-Kul Forum. In 2005 he received the Prize Creu de Sant Jordi from the Generalitat de Catalunya. He is an honorary Member of several scientific societies and a Member of several academies, among them, the World Academy of Art and Science. He has also received several honorary doctorates (Honoris Causa). He is Honorary President of the University of Granada. He served as Director-General of UNESCO from 1987 to 1999. He is currently the Chairman of the Foundation for a Culture of Peace and member of the Honorary Board of the International Decade for the Promotion of a Culture of Peace and Non-Violence for the Children of the World as well as the Honorary Chairman of the Académie de la Paix.